The Museum of Contemporary Craft presents Land Art: David Shaner. 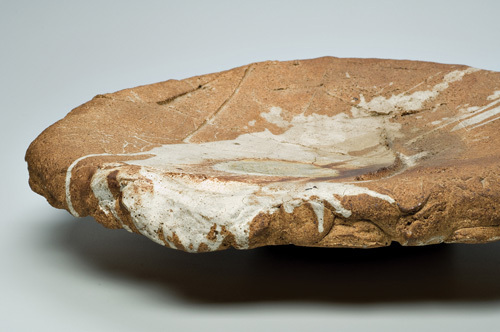 The exhibition explores the relationship between craft and the Land Art movement of the 1960s and 1970s through the work of a "potter's potter." Land Art includes works from the artist's estate and the museum's collection, as well as photos and personal notes taken by the artist, which "reveal a concurrent, domestically-scaled yet quietly sensual relationship between art and the landscape of the American West." On the first day of the exhibition, William Gilbert will present a concurrent Craft Perspectives lecture via PNCA/MoCC on "Land Arts of the American West." Gilbert "will discuss shifts in contemporary understanding of the genre of Land Art, tracing connections from his own study of ceramics in Montana with Rudy Autio to the innovative 'Land Arts of the American West' program he co-founded with Chris Taylor."